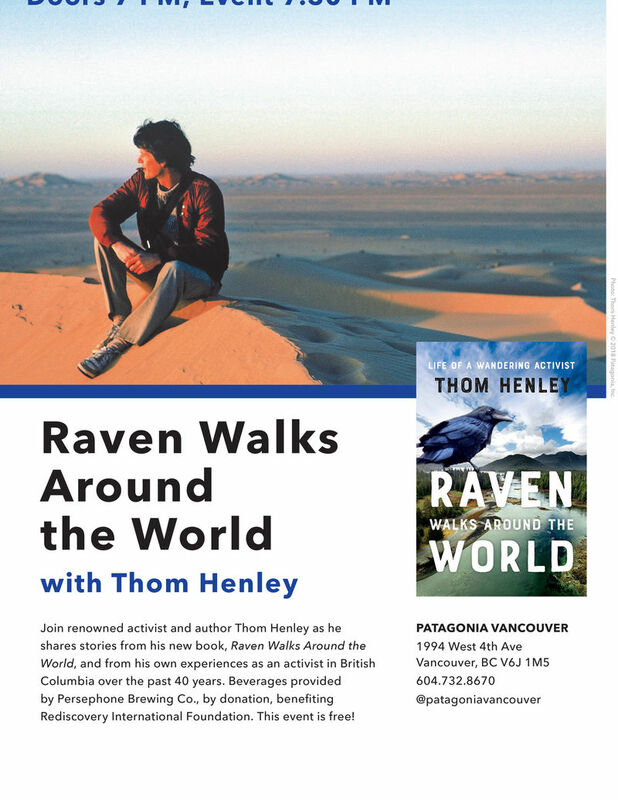 Join renowned activist and author Thom Henley as he shares stories from his new book, Raven Walks Around the World, and from his own experiences as an activist in British Columbia over the past 40 years. Beverages provided by Persephone Brewing Co., by donation, benefiting Rediscovery International Foundation. This event is free!